Back in early December, I went to the funeral for the father of the director of the deaconess school where I teach. 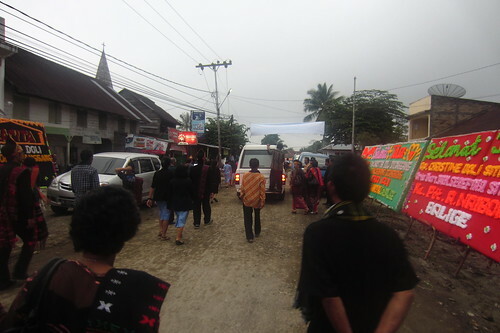 Here is a glimpse into the funeral celebration for an old grandfather in the Batak culture. 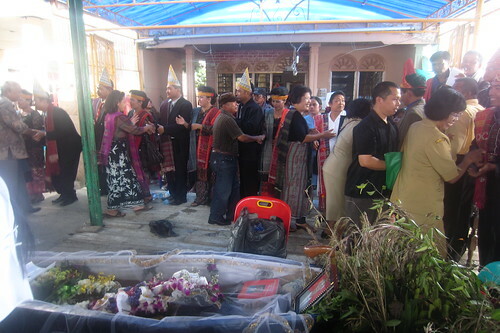 After the death, the body is laid in an open casket in the family home. Family and people from the village come to pay their respects. The party is the final act before burial. 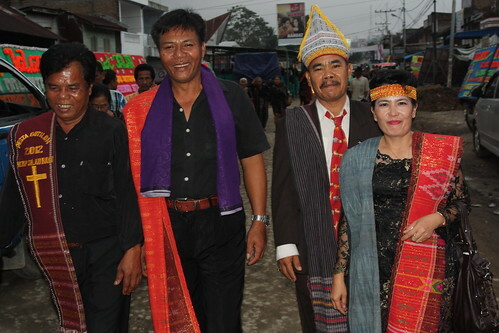 Much like the party for a wedding, the funeral party in the Batak tradition is an all-day event. There are certain traditions and customs that take place on the day–exchanging gifts and traditional dancing called “tortor”. Friends and family come again to pay respects, and a meal of saksang (a dish made of minced pork meat cooked in blood and spices) is shared. Finally, when the customs have been completed, the body is taken to the church for a short worship then placed at the gravesite. It was a long day for me. 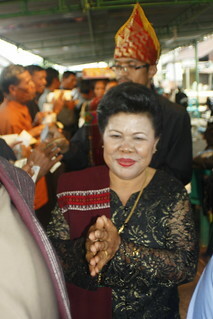 Along with some of the students, I traveled from Balige to the village of Sidamanik to attend.